The Velero Italian drawstring pants are just the right option for casual, beach wedding events. 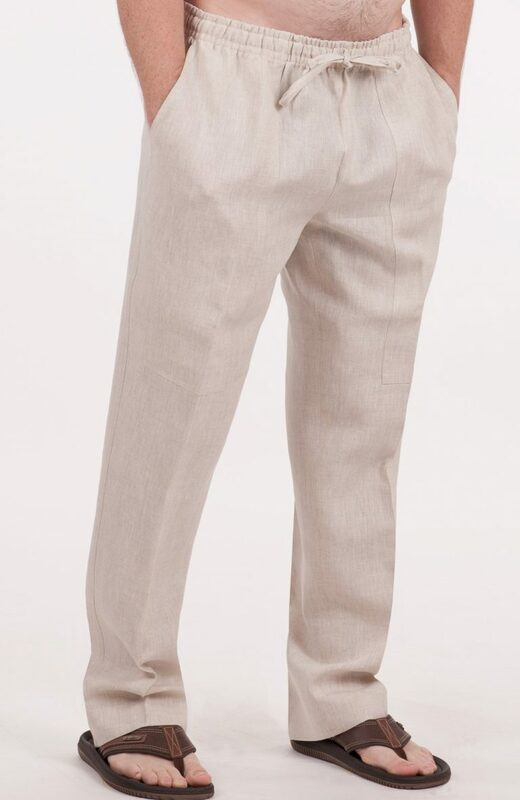 Exuding a vibe of relaxation and impeccable style, you can’t go wrong with paring these pants with a linen shirt! 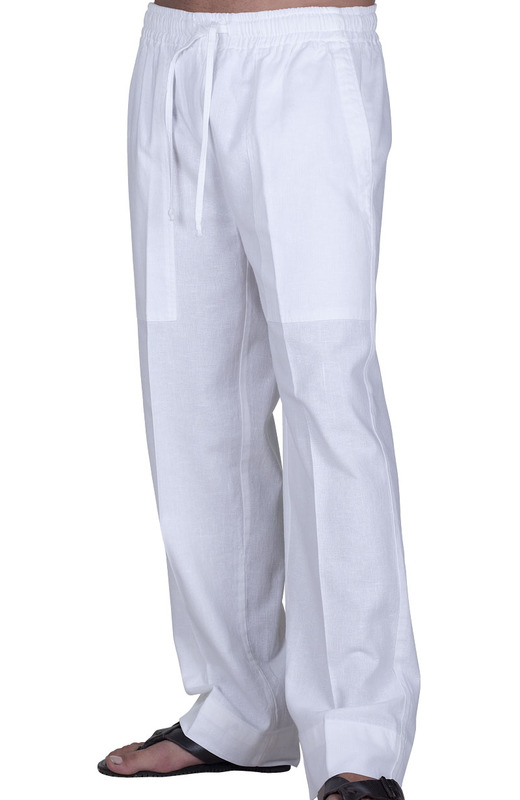 The Velero white beach pants come with a simple, relaxed and cool design that goes perfectly with our linen shirts. It is ideal for use in a wide variety of occasions at the beach including weddings. Comfort is the signature style of our men’s tropical clothing with these pants featuring drawstrings at the waist for enhanced fit and flexibility. 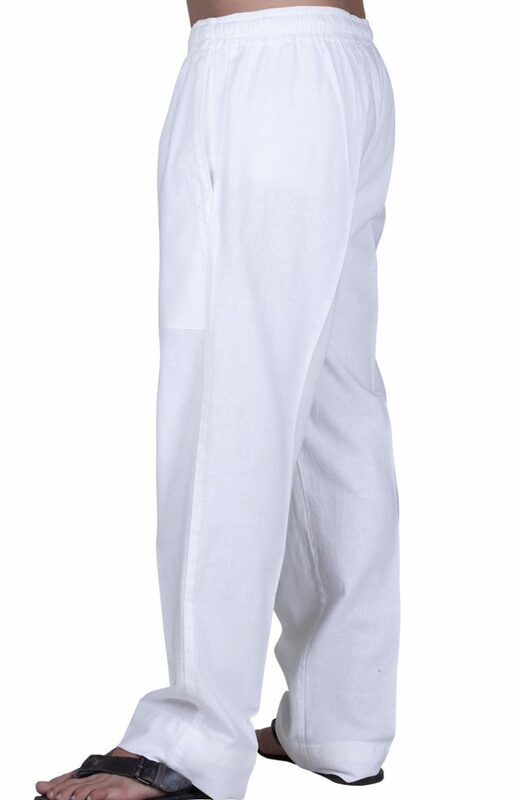 The Valos men’s white linen pants come with side slit pockets to complete the casual and relaxed look for the beach. The standard delivery has 36 inches of unhemmed inseam with the option to choose from 11 different fabric colors. If these don’t suit your preference, you can make use of the “Design It” button when placing your order for customization. 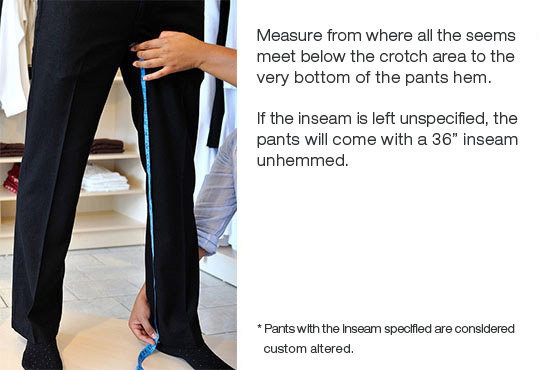 It allows you to choose the size up to 52, but if you can get more customized linen pants men’s sizes with the tailored option. Also, you can specify your desired fit, either relaxed or fitted, and allow about 4-6 weeks for your order to be ready for shipping. Fit as advertised. materials are top quality. Exceeded my expectations. Quality is the finest of linen with a perfect custom fit. Hi there, the wedding was wonderful, and the shirts looked GREAT!!! The groomsmen loved their shirts, and larry changed into his after the ceremony.